Gastric sleeve surgery is a surgical weight-loss procedure. There are several types of weight loss surgery (aka bariatric surgery) available, which are referred to as the gastric balloon, the gastric band, the gastric sleeve and gastric bypass. Both the gastric sleeve and the gastric bypass options are non-reversible and should be undertaken only after very careful consideration, and certainly not until all other options have been well researched. The operation takes between 60-90 minutes and is usually performed by minimally invasive surgery (otherwise known as keyhole, or laparoscopic surgery) under general anaesthetic. Small incisions are made in the abdomen and a camera attached to a laparoscope is inserted to allow the surgeon to see inside the abdominal cavity and perform the operation. This modern surgical technique is less invasive than an open procedure, and the post-op pain and recovery time is also reduced. The vertical sleeve gastrectomy is a non-reversible procedure which involves removing around 85% of the stomach by stapling it vertically. The stomach ends up shaped like a small banana and its capacity is drastically reduced to around 4-6oz (113-170ml). The full medical name for this type of bariatric procedure is the “Roux-en-Y Gastric Bypass”. 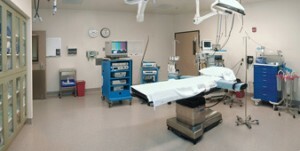 The operation is usually performed laparoscopically, takes up to two hours and is non-reversible. The stomach is stapled to create a pouch the size of an egg, and this pouch is then connected to the middle section of the intestines, bypassing the rest of the stomach and the first part of the small intestines. Bypassing the intestines in this way means that less food and nutrients can be absorbed, which is how the person loses weight. After undergoing the operation, the patient can only eat very small quantities of food in one go. The post-op diet consists of several progressive stages and is explained in detail on the Obesity Coverage website. 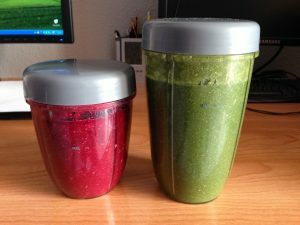 The patient starts by consuming clear liquids only for the first couple of days, followed by full liquids such as milk and protein shakes for up to two weeks, then pureed food with a smooth consistency and no lumps for about another week, before progressing on to soft foods and finally solid foods. Surgeons often recommend taking a variety of supplements including multivitamins, calcium, vitamin B12 and iron in order to avoid suffering any deficiencies after a gastric bypass. Patients are also advised to drink 8 glasses of water per day (but only tiny sips at a time), stop drinking 30 minutes before eating and not drink anything again until 30 minutes after a meal. Eating raw fruit and vegetables, and also nuts and olives is not advisable. Patients have to take very small mouthfuls and chew everything slowly and thoroughly, so it should take them around 10-15 minutes to eat just two tablespoons of food. According to statistics, on average people can lose up to 60% of their excess weight after Gastric Sleeve Surgery, and around 70% of their excess weight after undergoing gastric sleeve surgery, and around 70% of their excess weight after gastric bypass surgery. There is an expected weight loss calculator on the Obesity Coverage website. As well as the obvious benefits, it must be observed that all surgical weight loss procedures carry certain risks and complications, as well as benefits. The NHS website gives a comprehensive outline of their potential side effects, including nausea and vomiting, reflux, internal bleeding, infection, anaemia and vitamin deficiency, to name but a few! The Bariatric Surgery Source website lists the ten most common side effects experienced by gastric bypass patients, and you may be alarmed to know that “Dumping Syndrome” is number one! The financial costs of gastric bypass surgery along with gastric sleeve surgery or the gastric bypass sleeve, are significant, and these procedures are seldom available on the NHS. Gastric bypass surgery costs are in the region of £9,000. Gastric sleeve surgery is advertised on the Internet at around £8,000 (you may see this procedure described as a gastric bypass sleeve). The cost of gastric bypass surgery is just one of the factors that you need to consider when thinking about undertaking this type of surgery; remember, too, that it is non reversible, it will be with you for life, along with the repercussions, which can be extensive. Gastric bypass sleeve surgery has increased in popularity over recent years, but the procedure is permanent. Individuals that wish to lose weight permanently should ensure that they have researched all the alternatives ahead of making the life changing decision to take the surgical route. The GMB approach, as detailed below, will provide similar results, at a fraction of the cost, with no medical risks associated. Read the verified case studies, view the before and after photographs, and study the Clinical Evidence pages on this site, you owe it to yourself and your family to ensure you make the correct decision. 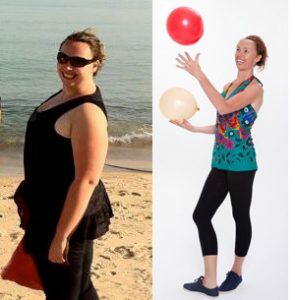 Katie lost 100 pounds with the Gastric Mind Band Treatment. If you are overweight and looking for a permanent weight-loss solution, you could do a lot worse than first considering, or at least investigating the Gastric Mind Band Permanent Weight Loss Treatment. Over a thousand people have now visited the British run Elite Clinic in Spain, many travelling from around the world after reading of its success in the media or seeing one of the TV programs on the subject. The treatment is Psychology Focused incorporating ‘Super CBT’. This is a completely non-invasive, surgery and pain-free option, providing proven similar weight loss benefits as the Gastric Sleeve, Gastric Bypass Surgery or Gastric Band options, but without having to endure a rigid, post-procedure diet plan for the rest of your life, or run the risk of experiencing any unpleasant side effects or complications, plus of course it comes at a fraction of the cost of the surgical alternative. you’re still not convinced, read the independent reviews of journalists that have visited the clinic. If you still have any doubts read the number of case studies on this site, view the verified Before and After photos, read the independent media reviews in the press section and finally visit the Clinical Evidence page here. Over a thousand people have travelled to Spain, sometimes from the other side of the world to undertake the GMB treatment. Read the many pages of the web site to find out why members of the public and celebrities have established the treatment as the Gold Standard in Permanent Weight Loss. You have nothing to lose, other than weight of course!